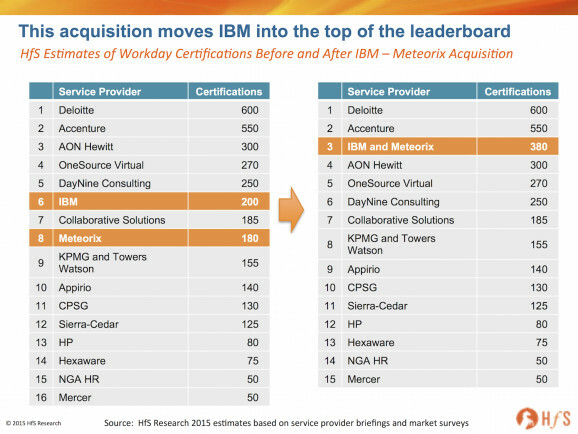 Just when you thought IBM's Global Business Services was cratering into an As-a-Sleep state, having sold-off its call center business exactly two years' ago, Big Blue's next-gen services star is once again shining, with the acquisition of one of the finest up-and-coming specialist Workday services firms in the market: Meteorix. There is a clear scramble for talent which can implement and support popular SaaS platforms, such as Workday, not completely unlike what happened with specialist consulting firms supporting the ERPs in the '90s and 2000s, such as SAP, Oracle, Peoplesoft et al. Specialist SaaS services providers supporting SaaS products, such as Workday, Salesforce, SAP SuccessFactors, NetSuite, ServiceNow and Google apps, are now in hot demand as ambitious global service providers seek to avoid the commodity trap of legacy software maintenance, which can still generate revenues, but not at the growth rates of past years. Adds considerable scarce talent in a hot market. Not dissimilar to the recent Accenture acquisition of Cloud Sherpas, these SaaS services takeovers are all about the large providers hoarding scarce As-a-Service talent. This deal effectively doubles IBM's share of certified billable Workday consultants and gives it greater scale and capability to compete with the likes of Deloitte, Accenture, AON Hewitt and OneSource Virtual on large Workday deals. Meteorix staff brings an excellent client culture, collaborative reputation and great array of new clients - different from the pedigree HR transformation talent KPMG recently acquired from Towers Watson, but nonetheless great practical implementers and practitioners of Workday. Our recent Blueprint report reveals that 60% of Meteorix's customers are in on-going "post-production support" state, one of the critical ingredients behind this deal: acquiring talent that drives the business transformative needs far beyond the initial implementation and go-live activities. Empowers IBM's ambitions to control core enterprise data. Being the service provider which controls the creation and interpretation of critical enterprise data, especially the knowledge of the global workforce, really creates a client stickiness that could be more powerful than ever before. Integrated SaaS suites, like Workday, have this capability to enable truly integrate data repositories - hence the trusted service provider of record will be in a very powerful future position to service its clients and deepen its footprints. Adds considerable services methodology to the IBM capability library. Meteorix has already build more than 1000 reusable integrations into Workday. If IBM can effectively leverage these into its global practices, there is some serious scope for scaling and expanding its Workday business. Adds real North American depth and entry into the lucrative higher education market. While Meteorix was not strong with multiple vertical industry depth, it does bring capability in the hugely lucrative US higher education market, upon which IBM can capitalize. It also negates IBM's need to partner with Sierra-Cedar in this sector and go after the space solo. 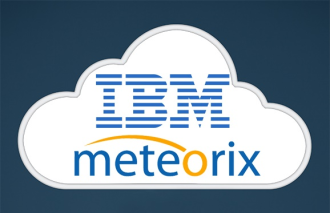 What's more, Meteorix's North American bench is well complimented by IBM's resources across Europe and Asia, even though most Workday demands tend to be confined to the North American market at present. There is also the opportunity for IBM's practitioners to share their considerable years of SAP HR knowledge, that tend to span much broader global engagements across Europe and Asia/Pac, to where many Workday clients are hoping to expand their platform next beyond North America. Mid-market focus and scale potential. Meteorix has tended to play in the upper-middle market space, which can provide a great platform to target enterprise level clients. Not dissimilar to the ADP strategy of building the competency in the mid-market before scaling the solutions to move up, IBM has a great opportunity to do this with its new Meteorix talent and IP. There is a huge amount of intellectual property to leverage - the key is to retain the talent and train it to work with higher end enterprise clients - and charge higher-end billable rates! Retaining the new staff. IBM will really need to work hard to create the right culture for its new found talent. This is its first significant services acquisition for some time and it needs to make this work. Meteorix had a very distinct culture, which needs to be nurtured and not suffocated under Big Blue doctrine. Enterprise-enabling Meteorix's methodologies. While this should be a major strength, this could also be a major weakness of IBM fails to nurture it's IP and talent and grow its client base across both the mid-tier and enterprise domains. With its determined focus to develop its Watson offerings and cognitive computing capabilities, there must be considerable focus on investing in the "Born in the Cloud" clients of the future, and not just today's resource-laden legacy enterprises. Creating strong Workday capability across both HR and Financial Management domains. The speed at which Workday's Financial Management modules are being evaluated and implemented is really beginning to pick up, and it's vital for the multifunctional providers, such as Accenture, Deloitte and KPMG to develop delivery and transformation skills across both HR and finance Workday domains. While encouraging to see IBM being affiliated as a Workday FM partner, it's important to see the firm develop comprehensive Workday delivery skills across both domains long-term. 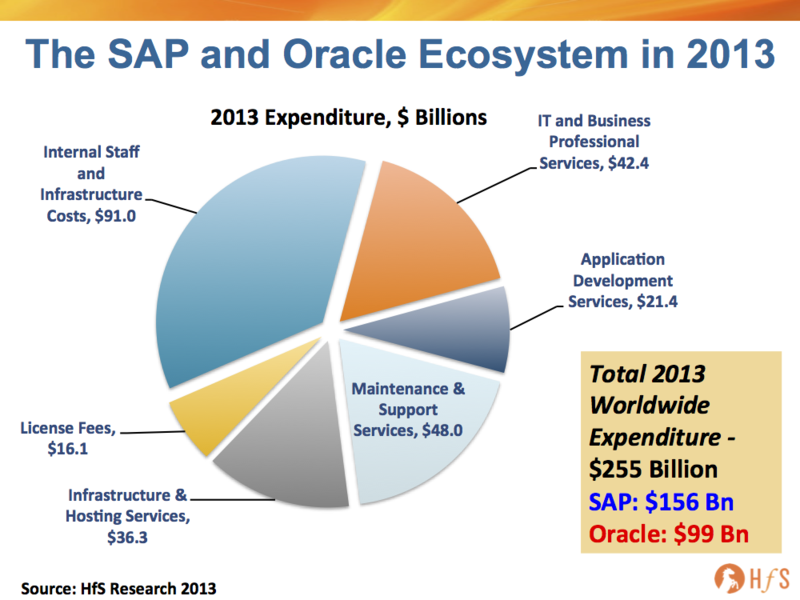 Best analysis yet on the evolving SaaS/services environment. Where are the Indian pure plays? Are they in danger of being left behind? On the flip side, we see the Indian heritage SIs very active in Salesforce, which is much more aligned to their customer services capabilities and emerging digital potential. Great piece of analysis. Isn't this bad news for the Workday users who will now have to pay much higher consultation rates? Very solid article and analysis! Thanks, Phil! I'm interested to understand more about what source of data is used to derive your HFS blueprint reports specifically in the area of high performers and the winners circle? Presenting that information without a credible source of how the information was collected, analyzed, and confirmed for validity discounts the opinion. What about using real data? Things like total revenue in the space of deployment, total revenue in services, headcount of certified consultants and # of years certified, and range of sized clients aligned to implementation partners. Also crediting "innovation" in the field of implementation is not presenting what qualifies as innovative. Does X vendor really have a better project plan than Y vendor. Metorix having reusable integrations is not a unique innovation proprietary to their deployment. Any deployment firm would reuse an integration from a prior implementation for a common 3rd party vendor. All of these implementation firms are competing with each other in a commodity based service. At the end of the day as a vendor if you can check the box with a prospective client on the ability to implement then it all comes down to price. Who's the best valued vendor in this list? None of this information would be helpful for our clients seeking services. i would never suggest that service partners collaborate on rates but....there is little pricing pressure evident. The rates tend to be the same general ballpark rates and the scope/service is more an indicator of the rates then the partner providing the service. Integration work is generally two tiered with regular integration folks being billed at 150ish and Senior Integration folks who function almost as overlays being billed higher. It's much the same for functional implementations with data migration and loading being performed by the Associaye Consultants and Scope, Project Management, Design, etc. being performed by Consultants or Sr. consultants. If Workday truly can push data loading into the customer's hands (as we all heard at Rising) then we will need a lot less of the lower priced consultants so there may be upward pricing pressure there. Consolidation should not increase pricing pressures even if the boutique firms were gobbled up. 4 or 5 largish US based consultancies would still provide adequate choice. The beauty of Workday is not so much the cheaper implementation as the cheaper cost over the long run with the updates and everyone being on a single version being so much easier to manage. @Mark: Buyers are more demanding and service providers are constantly striving to differentiate services. Vision (a.k.a. marketing spin) simply doesn’t merit consideration when compared to innovations delivered to clients. And service providers’ ability to cultivate relationships increasingly matter more than the number of FTEs Acme, Ltd. has in Bangalore. Most importantly, in the increasingly competitive and global markets buyers operate in, companies need to dynamically modify criteria and evaluations based on their specific needs (or meld theirs with other experienced constituencies’ opinions). 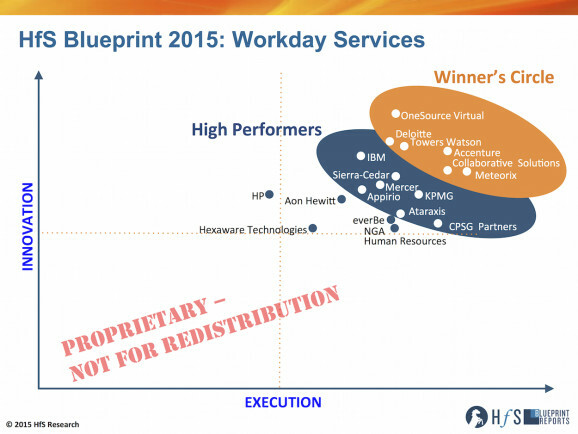 HfS Research’s Blueprint delivers all of this capability to the industry and our subscribers in spades. 1) Meaningful innovation drives vision. 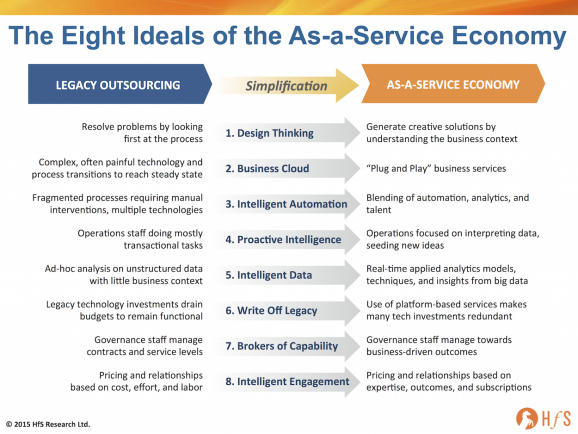 On one side, HfS Blueprints differentiate service providers’ ability to innovate because the success of buyers is based on the ability of service providers to add more value than labor arbitrage through cloud technology, standardized services, quality management, and analytics. 2) Execution means more than market share. On the other side, HfS Blueprints evaluate how services deliver value to clients in the real world based on the scale and scope of services actually delivered. 3) Relationship management drives success. Our research findings have determined relationship management is a crucial and therefore a significant factor of the HfS Blueprint methodology is the strategic engagement of service providers. 4) The community determines how it is evaluated. True to our social business roots, the experienced outsourcing buyer community will largely determine the importance of the HfS Blueprint evaluation criteria through a formal, proven process. 5) One size does not fit all. Our approach also reflects our namesake belief that few horses run well on every course by allowing our clients the flexibility to adapt HfS Blueprints to meet their specific business needs. HfS Blueprints also evaluate the ability of service providers to tailor solutions to meet specific service and industry needs, instead of suggesting that comprehensive, standardized solutions are what every client needs. » Comprehensive View of the Value Chain – The strategy for delivery services to each part of the processes "value chain". For example, in Finance and Accounting, the components of the value chain may include order to cash, record to report, and procure to pay. In Customer Relationship Management, the components may include outbound service, inbound service, quality, training, workforce management, call routing, self service, and customer insights/analytics. » Plan to Deliver the Value Clients Need - Clear understanding of what value levers exist and how the service provider will deliver that value. Examples of value may include labor arbitrage, technology, analytics, quality, revenue, global scale, and flexibility. » Integration of Business and IT Processes - How the service provider integrates applications with manual labor to improve value to clients. Service providers may provide cloud-enabled technology, SaaS, workflow, or analytics applications. » Investments in Innovation and Capability – The organic and inorganic development of services for clients. » Vision to Tailor Solutions for Specific Industries – How the service provider tailors services for verticalized-specific needs. » Accommodation and Leveraging of External Drivers – How the service provider takes advantage of advancements in software and hardware applications; supports mobility and bring-your-own-device policies; manages security in the service/solution; supports regulatory changes that affect clients; and enables social media, collaboration, and community building in the solution. » Quality of Customer Relationships – How service providers cultivate strategic relationships with clients including rationale behind client relationships won and lost over the last 12 months; the quality and goals of account management teams; how the service provider develops client communities; how customer feedback is incorporated; and how pricing models fit to customer needs. » Current Market Share and Potential to Grow in the Market Place – The portion of the market the service provider owns in terms of revenue and its capabilities to increase market share in a 3-year time frame. » Solutions in the Real World – The actual services delivered by the service provider for each preprocess in the value chain; the ability to service broad geographic needs with scale; and the real world ability to tailor services to specific client needs (larger vs. smaller customers, global vs. regional customers, end-to-end solutions vs. point solutions, and implemented vertically specific solutions). What Methodology is Used to Weight HfS Blueprint Evaluation Criteria? » Enterprise Buyers: Leaders in companies that evaluate and/or buy services from service providers. This includes a combination of industry-wide results (our annual state of industry survey covers ~1200 stakeholders) and the inputs from highly experienced HfS Sourcing Executive Council members. » Service Providers: Leaders in companies that market and sell services to buyers. » Advisors, Consultants, and Other Industry Stakeholders: Individuals who facilitate decision-making between buyers and service providers » HfS Research’s Analyst Team: The analysts of HfS Research. Since aggregated weighting rarely reflect the interests of our clients, HfS Research allows subscribers to customize HfS Blueprints. Subscribers may generate their own weighting based on their own priorities, select some or all of the four constituencies listed above, leverage their industry’s average weighting, leverage weighting of companies operating in the same geographic region, or any combination of these. Clients can also run what-if analyses to understand how future trends may impact results, as well as add and delete evaluation criteria to fit their needs. What Methodology is Used to Compare Service Providers? For general publication, HfS Research’s analysts conduct paired comparisons of service providers in each category of evaluation. This process is exhaustive and requires extensive data collection to evaluate service providers. Detailed results are provided in HfS Blueprints. Because this methodology leverages a “living” data set, major market changes can be quickly updated in HfS Blueprints and results can be rapidly released to the community to communicate how changes impact market leadership. In addition, HfS Research subscribers may conduct their own evaluations based on their specific needs. These customized evaluations can replace HfS Research’s analysts evaluations or be weighted however the subscriber chooses. The ability for subscribers to customize evaluations further improves the HfS Blueprint’s value to clients rather than forcing a “one-size-fits-all” approach on the entire market. » Tales from the Trenches: Interviews with buyers who have evaluated service providers and experienced their services. Some are supplied by service providers, but many are interviewed through interviews conducted with HfS Sourcing Executive Council members and the thousands of participants in our extensive market research studies. » Sell-side Executive Briefings: Structured discussions with service providers intended collect data necessary to evaluate their innovation and execution. We don’t pull punches in these discussions because we need to get past marketing spin doctors to understand the real state of service providers’ capabilities. » Publically-available information: Financial data, website information, presentations given by senior executives, and other marketing collateral. Would a Big Blue Prism create an Intelligent Automation monster?